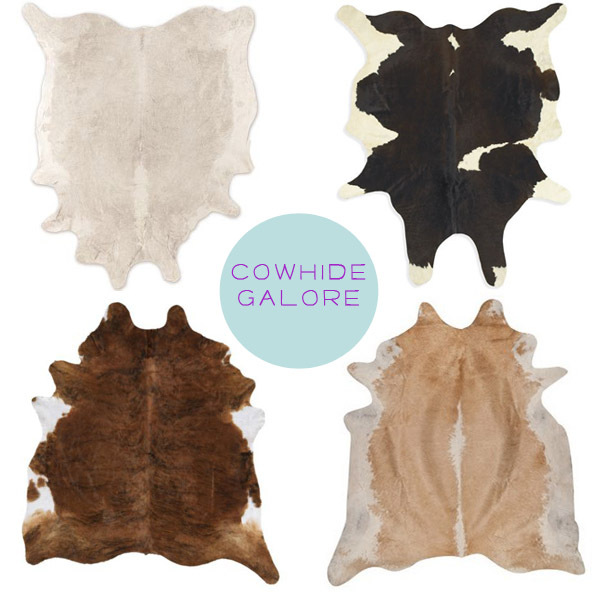 I'm aware it's the half Texan in me that is drawn to the rustic chic look of a cowhide rug. I'm also aware it looks like a cow is laying on your floor. I'm totally ok with that. A good cowhide rug really goes in any space, especially after looking over my piles of saved photos on them, they are far more versatile than I expected......(except putting it on an already carpeted floor...let's not do that)....but I especially love its contrast on a painted white wood floor....it allows the rug to really pop and look crisp. 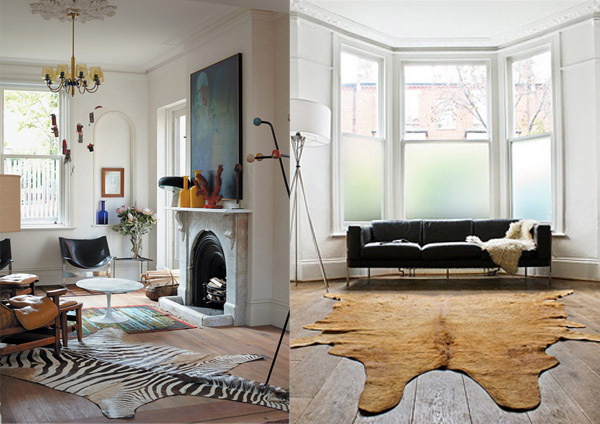 No matter your preference of cow color, or authentic versus faux.....there's a rug for you! Plus, word on the street is....they are practically indestructible, so it's worth the investment. But as with most things, there are the higher end options and then if a bargain is your route (like yours truly)...then it's Ikea to the rescue (as usual!)..... or if you're one for second hand....my friend Esther informed me she found an ah-mazing one on Craigslist in Austin last week! I realize there's a zebra in there....but I'm an equal opportunity animal print rug lover! If you have one, please do send me a picture [parkeretc@gmail.com]....I'd love to see how you used it in your home! I'm still in negotiations with E to get one in our apartment....I've got the perfect place for it.....so any extra validation I can show him is welcome!